There are baby ducks about to jump from a roof top, can Tinpo and his team lend a helping hand to the residents of Tinpotown and help them solve their problems? What solution will they come up with to prevent the clouds ruining their games and will it work. This hot new tv show is back with more new episodes designed to encourage pre-schoolers to get excited over ideas, the joy of creation and the ability to remain curious. 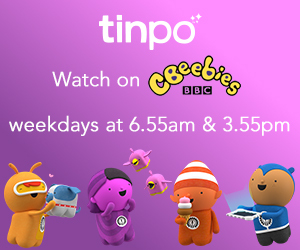 Written by Davey Moore (Thomas and Friends) and Emma Hogan (Nelly and Nora) Tinpo is the new Cbeebies animation that first premiered in December 2018, with a new series starting this week. We have been super lucky though and got to watch the new episodes of the show before it aired in order to write this review as well as have a little bit of Tinpo themed colouring fun. 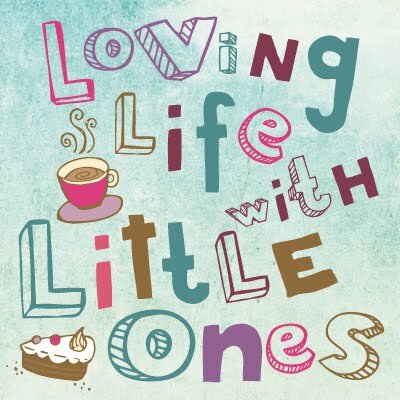 So what did Little 3 and I think? I have to admit the catchy theme tune drew me straight in, it was short and playful and teamed with the bright colours and engaging opening graphics Little 3 was instantly hooked, nine year old Little 1 wanted in on the action and I have to admit I have been humming it too. Tinpo, Doug-po Logi-po and Hack-po are a team of local hero problem solvers living in Tinpotown who are always ready to hop on the Tinpo train to answer the call of their fellow friendly residents who need a helping hand. The characters are fun and loveable and ride around in a futuristic looking vehicle which Little 3 excitedly told his sister looked like 'huge tyres, like a train', he thought this was pretty cool. The show has entertaining and engaging storylines featuring issues along the themes of construction and problem solving. Characters see a lightbulb shape pop up and go to help a town resident with a problem, both Little 3 and I wanted to know how the gang would solve the problem they were faced with, there was a bit of puzzling it out as well as trial and error where the team ask 'What if we tried this...' before the they came up with some creative and rather unusual solutions to the problems using their fantastical tools. I thought some of the solutions were a little odd but Little 3 and his big sister who have been watching the shows together liked them and thought the ideas were good. 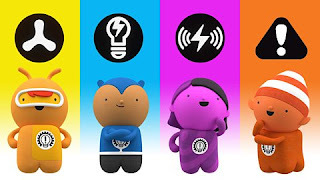 The show encourages children to think about ideas and creating things as well as trial and error and puzzling things out which kept the attention of Little 3 well during the short episodes. If you are looking for fun, colourful animation with a creative twist then the show airs on Cbeebies at 6.55am and 3.55pm each day and is also available on BBC iPlayer.